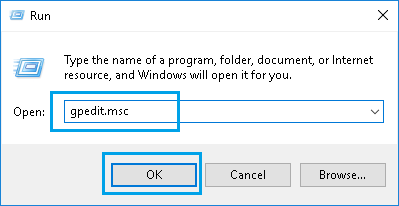 If you are unable to change desktop background in Windows 10, it is likely that changing of desktop background has been disabled on your computer via Registry or Group Policy. 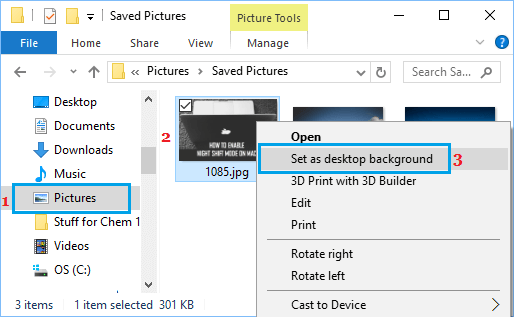 The easiest way to Change Desktop Background in Windows 10 is to simply right-click on the Picture that you want to set as desktop background and click on Set as desktop background option in the contextual menu. 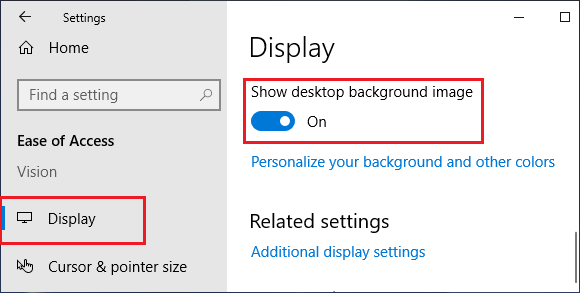 Another way to change desktop background is to open Settings > click on Personalization > Background and select the picture that you want to set as desktop background. 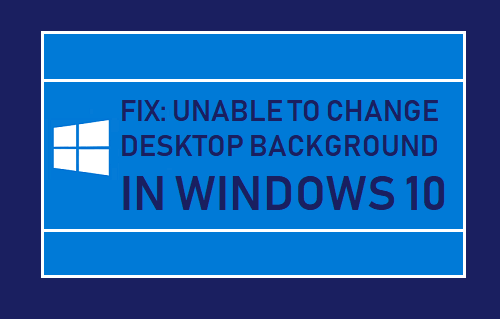 However, you won’t be able to change desktop background on your computer, if the option to change desktop background has been disabled via Group Policy Editor (Windows Pro) or Registry (Windows Home). In such cases, you may see a message reading “Some settings are managed by your organization” or similar in the “Personalization” section of Settings on your computer. If you are unable to change desktop background using Settings, the most likely reason for this is due to Windows 10 being not activated on your computer. 2. 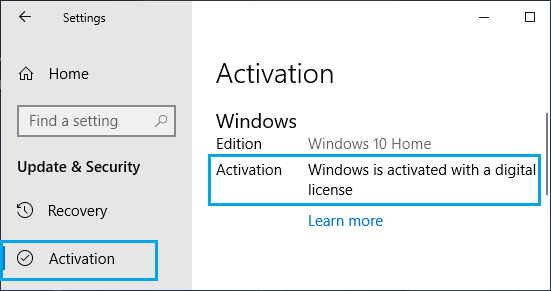 On the next screen, click on Activation and make sure that Windows 10 operating system on your computer is activated. 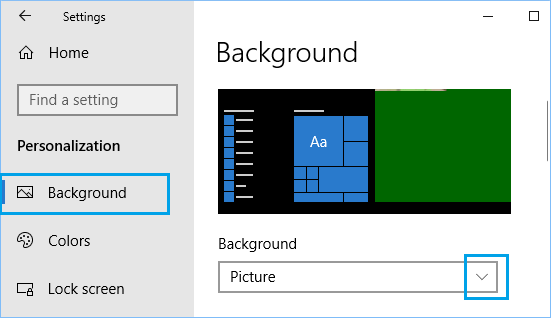 Note: Even if Windows 10 is not activated, you will be able to right-click on any Picture and choose Set As Desktop Background option in the contextual menu. 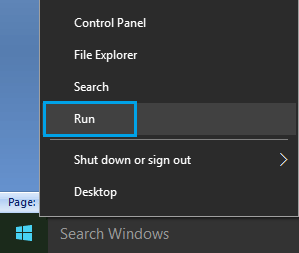 In case of computers running Windows Home Edition, changing of Desktop Background can be enabled or disabled using the Registry Editor. 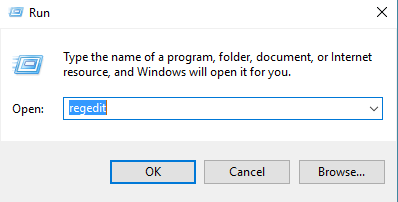 HKEY_CURRENT_USER\SOFTWARE\Microsoft\Windows\ CurrentVersion\Policies\ActiveDesktop and double-click on NoChangingWallpaper. 4. In the Edit DWORD pop-up, set the Value data to 0 and click on OK.
5. Restart your computer to apply this change and see if you are now able to change Desktop Background. If you have Professional Edition of Windows 10, it is likely that changing of desktop background has been disabled in Group Policy Editor. 3. In Group Policy Editor, navigate to User Configuration > Administrative Templates > Control Panel > Personalization and Double click on Prevent Changing desktop background policy. After this you will be able to change desktop background image on your computer. If you are looking at a black or dark desktop background on your computer, the problem is most likely due to Show Desktop Background Image being disabled in Ease of Access Settings. 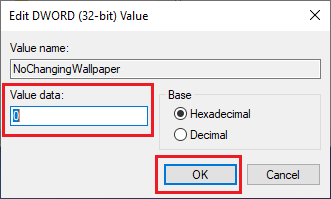 Open Settings > Ease of Access > Display and make sure that Enable Show Desktop Background image option is enabled.